If you’re thinking about where to spend your summer vacation this year we have the perfect spot for you! For those who have never been to the Brunswick Islands off the coast of North Carolina, something truly special awaits you. 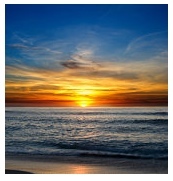 It’s here that you’ll come to the realization that Sunset Beach NC vacations really can’t be beat! You’re sure to enjoy the family-friendly community just as much as you will the lack of crowds and traffic. This is a spot so welcoming and so comfortable that you’ll wonder what took you so long to discover your best vacation ever. We can provide you with accommodations that are not only affordable but close to the beach, too. Our vacation rentals are furnished and decorated so well that they’re sure to convince you that Sunset Beach NC vacations really are the best ever. While nature provides you with wonderful things to enjoy here, there are some local events we’d like to bring to your attention as well. Both are open to residents and visitors alike. 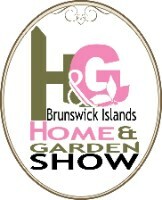 The 11th Annual Brunswick Island’s Home & Garden Show will be held from 10 a.m. to 3 p.m. on April 20 and 21 at the Sea Trail Convention Center in Sunset Beach, NC. There will be products and services for the home and garden displayed including landscaping, gardening, pool and spas, windows, outdoor grills, home décor, utilities, real estate and financial services, and resources for home construction or improvement. Hope to see you there! Previous Previous post: Great Deals But Hurry!